Adventure activities, outdoor pursuits and paintball in Lancashire, Manchester and the Lake District, Cumbria, for Guides, Brownies, Beaver scouts, Cub scouts, Scouts and Venture scouts. 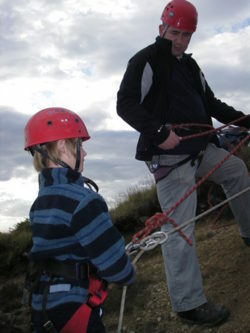 have been offering adventure activities and outdoor pursuits activities to the Scouting community since 2000. Many of our instructors have themselves been, cub's, scouts, Guides, Brownies and venture scouts which has given them the love of the outdoors and also a taste for adventure. We like to take away the pressure felt by Guide and scout leaders when arranging activity days or expeditions by being able to help find suitable sites or venues and supplying all the safety equipment and risk assessments for the activities undertaken. Whether its a Scout camp trip organised by your group with us coming along to supply the activities, or a full on wilderness Scout camp with us supplying all equipment we can tailor an experience to suit all abilities and ages. Please call us for a quote, you won't be disappointed!